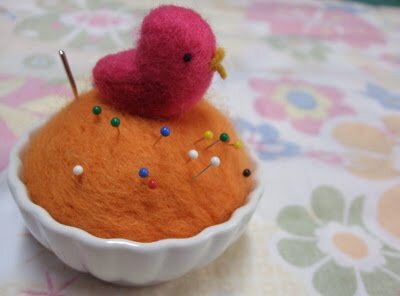 The world’s cutest pincushion. I nabbed this little beauty at Madison’s annual Craftacular a few years ago. The artist who made the pincushion has an Etsy store filled with other remarkable felted creations. After installing the zipper, it was time to stitch the side seams. 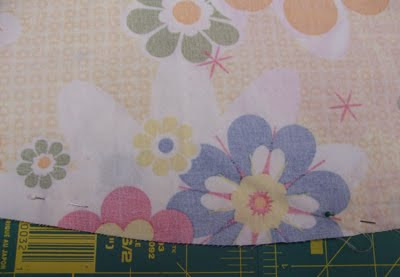 This is pretty straight-forward business: sew the seam with a half-inch seam allowance, and press open the seam. Here’s what it looks like. This gentle curve will fit over my hips. With the side seams sewn, it’s time for pressing. This is a ham, and it will make curvy parts of your clothes look awesome. 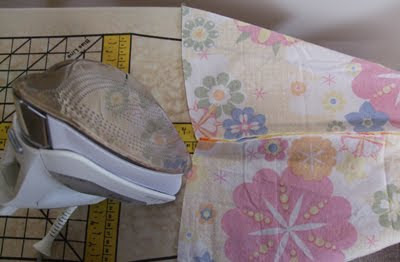 I pressed the hip area of the seam with a ham, a stuffed-but-firm cushion that allows curved seams to be pressed flat. 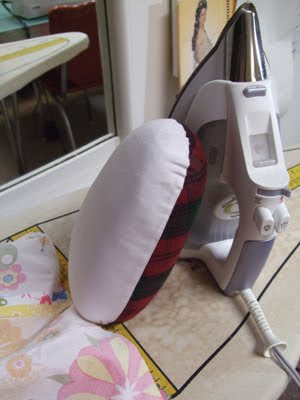 You also can buy tube-like hams for pressing narrow sleeves, but I use a thick, rolled magazine covered in a pressing cloth and some caution. A ham is a must-have tool if you’re making clothes that fit over curves. (Pretty much if you’re making clothes for a human woman, you need a ham.) Plus, my ham is stuffed with cedar chips, and it smells nice when you press it with a hot iron. 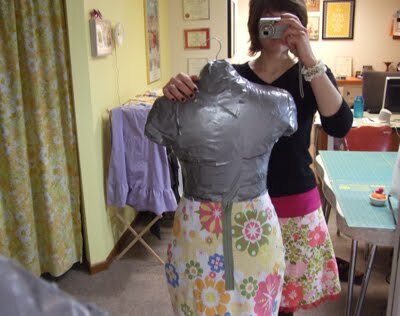 A girl and her duct-tape body double named Jo. I’m a wee bit taller than my dress form in this pic because I’m wearing heels. You can see in the photo above how low the skirt sits without darts. The horizontal line in the middle of my dress form is the narrowest part of my body, my true waist, and it’s where I want the top of the skirt to be. The back of the skirt, and a good view of the craftorium at VHHQ. 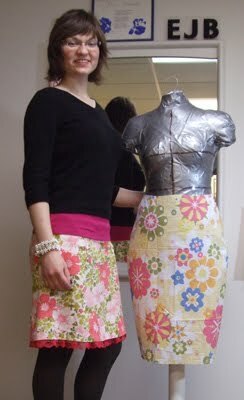 I also made the skirt I’m wearing. Tune in next time for possibly the most important part of making the skirt: getting the darts just perfect. OH MY. Is that the cutest skirt ever? Yes, I believe it is.